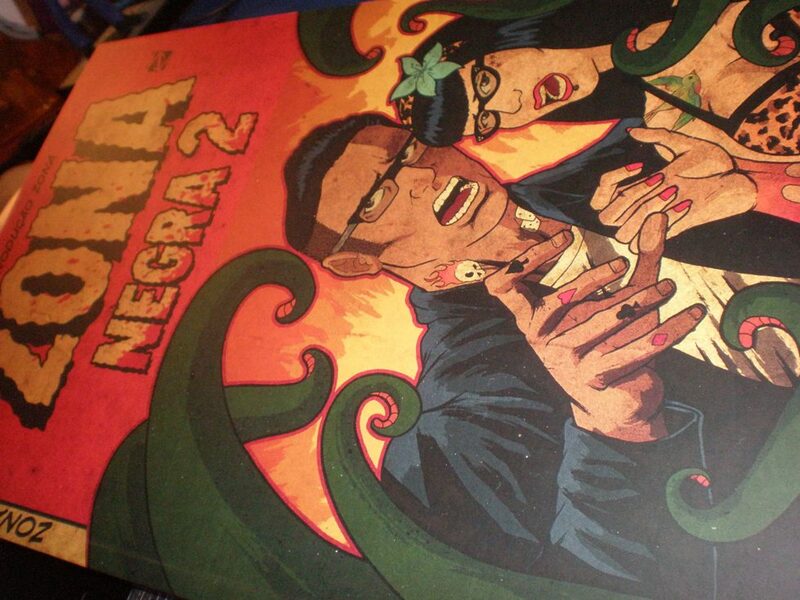 Finally, after a few printing issues, the latest issue of Zona - Zona Negra II - is out! I already have my book, and it looks awesome. 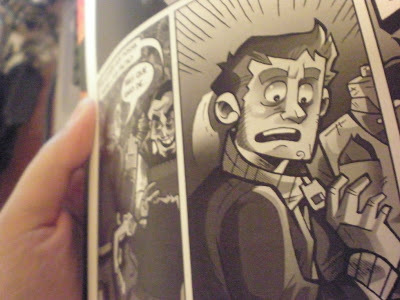 I'm not just saying that because I have a comic published in there (well, maybe a little bit), but I seriously think the books have been growing in quality and it's a joy being a witness, as well as a part of, this progression. 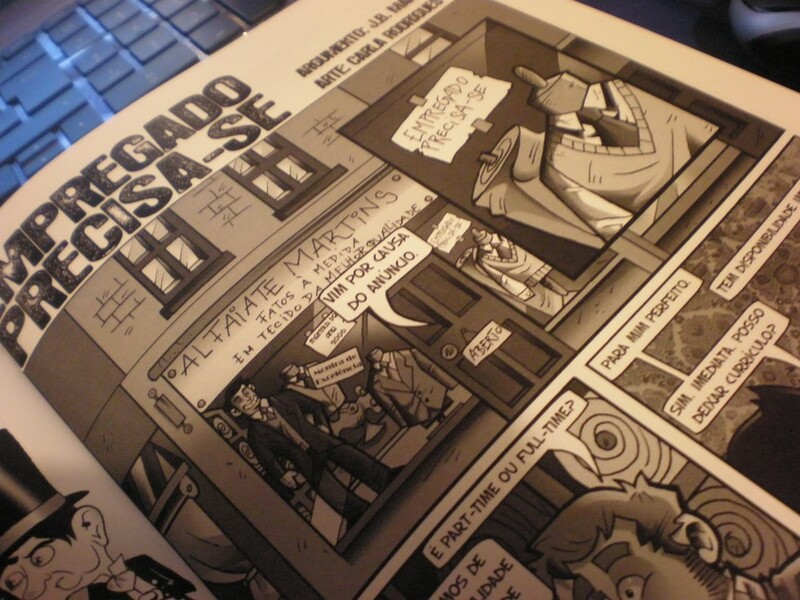 I can't really show you my work just yet - you'll have to buy the book, which you can do online through the project's blog or, if you're in Portugal, chances are your local comic shop will carry it. I will, however, share a few photos that work as a sneak peak to the comic I drew, written by my friend and Kubrick's Garage co-creator and writer, J.B. Martins. Enjoy! Já tive a oportunidade de comprar a Zona Negra II e está fantástico!! 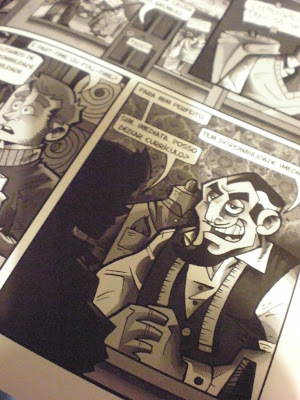 Este tipo de iniciativas são muito boas e é uma boa maneira de revelar novos talentos. Para quando um livro só teu Carla?? A qualidade da tua arte já merecia um álbum de BD editado... eu comprava de certeza absoluta ;D.
eu partilho da opinião do Lucaimura. Eu também comprava um album teu! Rui Alex - Muito obrigada, significa muito ouvir isso de alguém com um trabalho como o teu :) Aproveito para te dar também os parabéns pelos trabalhos que tens na Zona Negra II, muito muito bom, gostei especialmente das páginas que fizeste na BD O Poder!